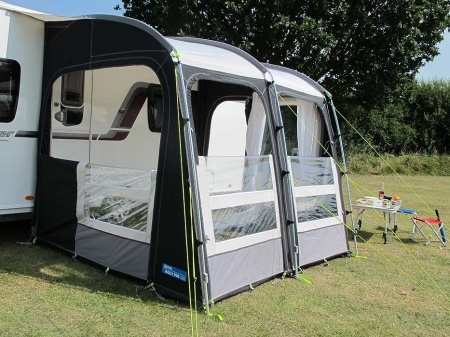 With seams that are hot-air-taped, high quality Weathershield Pro awning material and steel poles for strength, stability and reliability, the Rally 260 Pro is ready to provide protection against the weather. 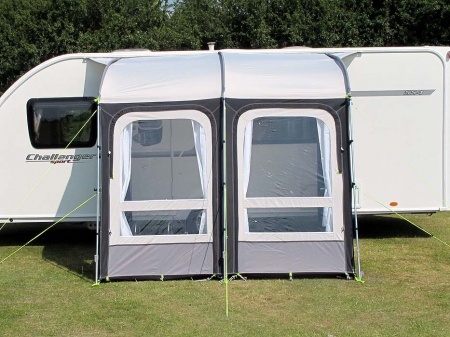 Being that bit wider than the Rally Pro 200, the Rally Pro 260 has two windows in the front section but it still lends itself to weekend and touring caravaning - providing that extra room, storage space and comfort to your caravan ( With a width of 2.6 metres and a depth of 2.5 metres the awning provides 6.5 square metres appromimately of additional space ). The Kampa Rally Pro 260 provides easy access to your caravan with a door on both sides. 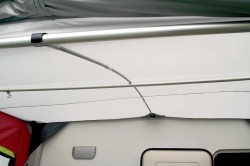 One of the new features to the Rally Pro 260 is the zip out side panels that enable you to fix the optional annexe to either side of the awning ( or both at the same time if you so wish ). 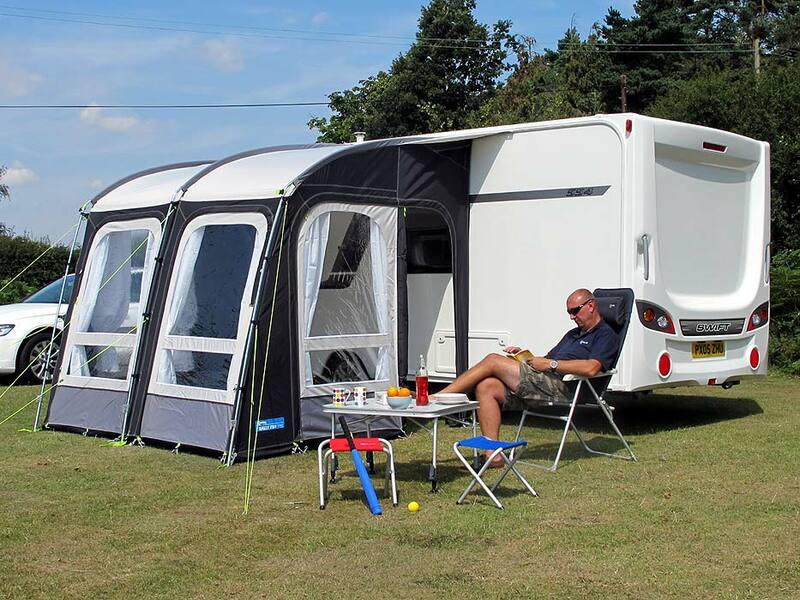 The annexe is supplied with an inner tent and like the main awning it is also easy to setup. 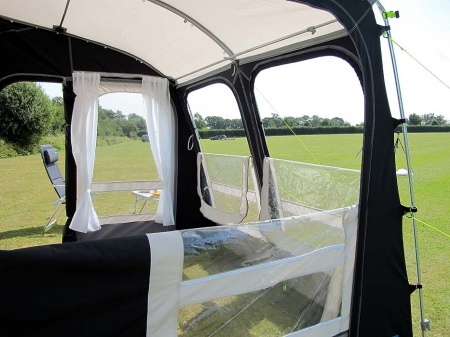 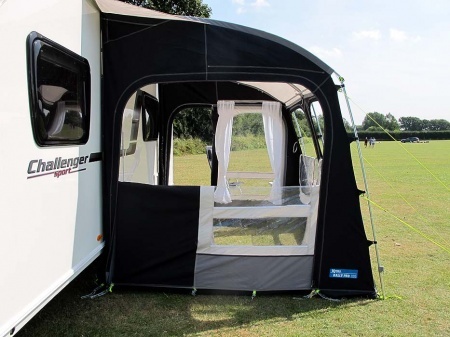 The Rally Pro 260 has curtains to both the front and side windows that run on Kampa's easy run track. 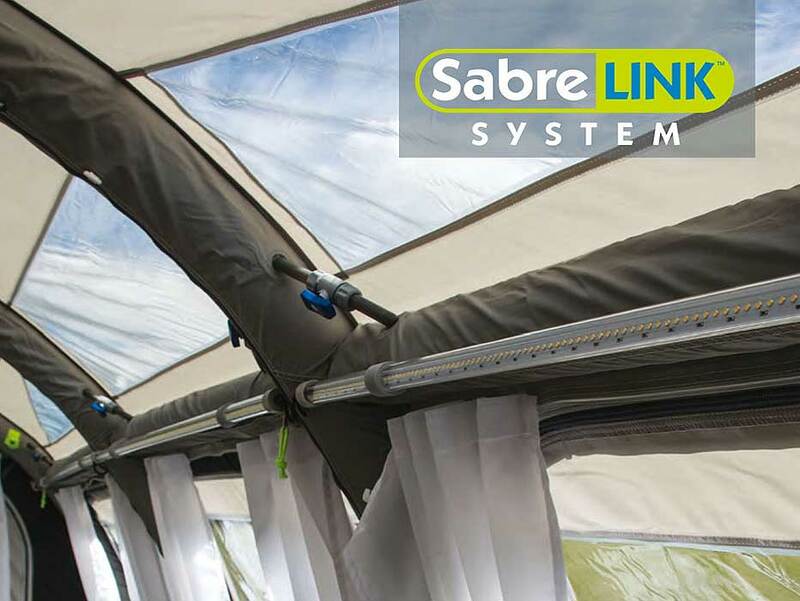 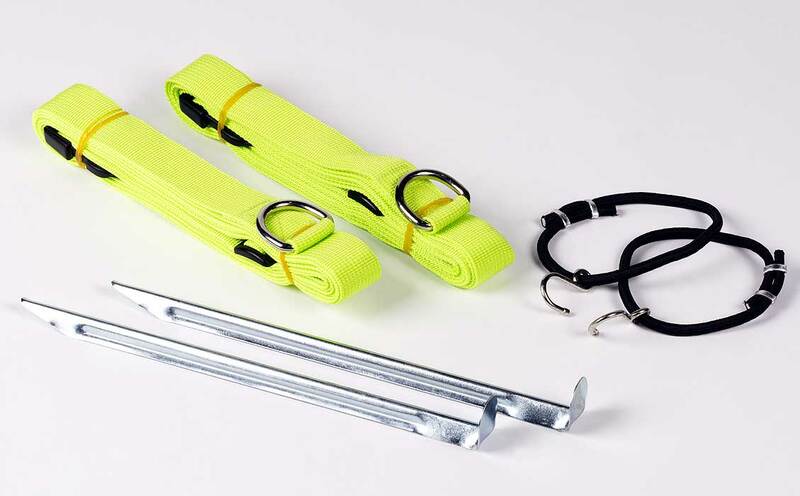 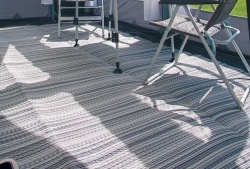 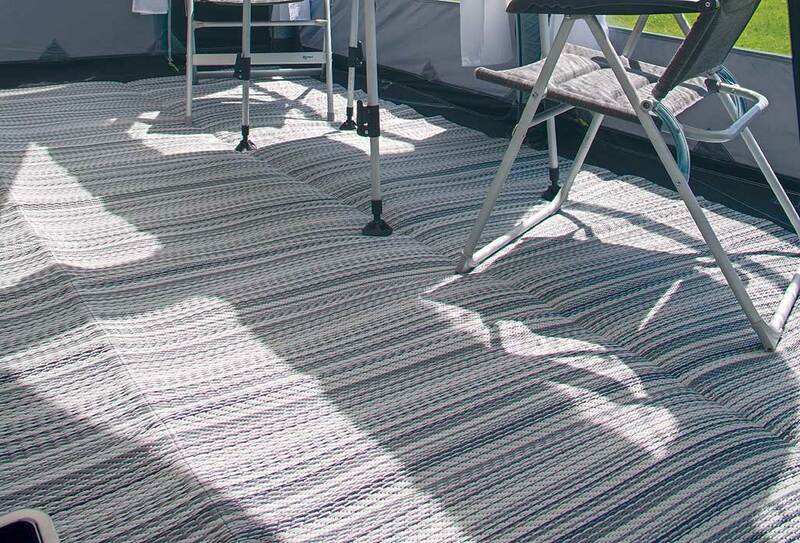 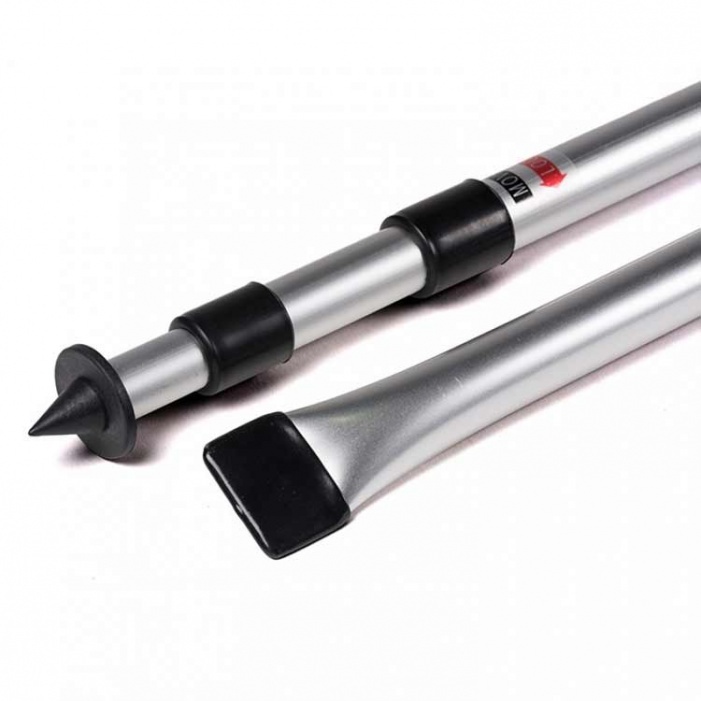 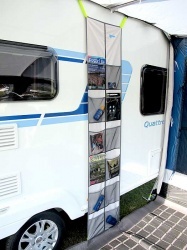 Suitability: The Rally Pro 260 is suitable for caravans with a rail height of 235 to 250cm.